Genomics research holds the key to meeting many of the global healthcare challenges of the years ahead. In the last few years, costs for genetic testing have plummeted, as advances in sequencing technology have made individual genome sequencing economically feasible. Remarkable advances in genomics technologies, including pharmacogenomics, direct-to-consumer genomics, and wearable data-collection devices are leading to large pools of stored data. Using in-memory computing technology, researchers are able to analyze and use this genomic data in innovative ways, leading to extraordinary changes in the way healthcare is delivered today. Some of these advancements are happening now, as liquid biopsy DNA tests emerge as noninvasive screening options for early cancer detection. And revolutionary gene editing techniques such as CRISPR-Cas9 may soon offer innovative ways to modify genes to treat rare genetic diseases. A significant number of large-scale genomic projects are already underway, pointing toward positive advancements in 2017. Here’s a look at seven major trends that will shape the healthcare and life science markets in the field of genomics. To close the gap between translational research and clinical diagnosis and treatment, the healthcare and research community is working toward the integration of genomic data into clinical workflows. 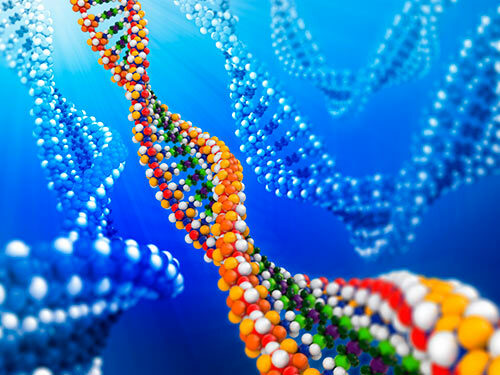 Right now, using genomics to impact clinical care is still a bit nascent. While major clinical centers such as Stanford Health Care and many cancer research centers are using genomic data to personalize treatments, the use of genomics in clinics nationwide is not yet commonplace. This will change in 2017, as high-profile examples of the value of genetic testing raise awareness among doctors and patients. One of these is the widely reported BRCA gene mutation that led Angelina Jolie and her healthcare team to ultimately decide on a preventive double mastectomy. Women with harmful mutations in either of two genes, BRCA1 and BRCA2, have a risk of breast cancer that is about five times the normal risk, and a risk of ovarian cancer that is about ten to thirty times normal, according to a study published in Genetics in Medicine. As researchers discover more associations between genetics and disease risk, genetic data will be integrated into clinical workflow and systems. The data gap will start to close, and the information can be used in a seamless way when relevant to treatment. For example, if a doctor prescribes a specific medication, she would get an alert or caution not to use that drug if the patient had a certain genetic mutation that could cause unwanted side effects. That scenario lets data do the work vs. putting the onus on the doctor to research genetic markers. Another area primed for accelerating change in 2017 is pharmacogenomics. Doctors have known for as long as they've been prescribing medicines that drug metabolism often vary by patient. Pharmacogenomics, the study of how genetic variation contributes to an individual’s response to drugs, is an example of how genomics are increasingly relevant in clinical decision-making. Researchers have already identified a few hundred genes that are related to drug metabolism, and are continuing to identify more. In 2017, more companies are doing metabolism-oriented genetic testing, and the costs are dropping. The Clinical Pharmacogenetics Implementation Consortium (CPIC) has released prescribing guidelines for individuals expressing certain genetic variation. With a relatively inexpensive, genome-based drug metabolism test ($200–$500), a doctor can determine the rate at which an individual metabolizes specific classes of drugs, including drugs used in HIV treatment as well as cancer drugs. With these developments in pharmacogenomic testing, doctors no longer have to use a one-size-fits-all approach in medication. Doctors can more optimally prescribe medications based on patient-specific factors including age, gender, ethnicity, and genomic factors. Tailored drug-treatment plans also help reduce wasted resources and adverse events, allowing physicians to become more efficient and additionally serve more patients. A precise and fairly inexpensive technique, CRISPR-Cas9 is a revolutionary form of gene editing and is spreading through biotech laboratories and biotech startups worldwide. It has great potential, ranging from creating a better food supply in agriculture to correcting specific mutations in the human genome. CRISPR allows lab scientists to edit genomes with precision and efficiency. Using the technique, labs have created monkeys with targeted mutations and prevented HIV infection in human cells. Chinese scientists have announced that they have applied the technique to nonviable human embryos, in an effort to tap CRISPR’s potential to cure genetic disease. Another key disease-fighting tool to watch in 2017 is DNA liquid biopsy testing: a cancer-screening test based on a simple blood draw. Since dying cancer cells shed a small amount of DNA into a patient’s blood, this type of test could lead to early cancer detection. In China, research hospitals are conducting large studies using these tests, trying to prove that DNA analysis can act as a screening test for diseases such as liver tumors and nasopharyngeal carcinoma. The hope is that in the future, instead of extensive imaging and invasive tissue biopsies, liquid biopsies could be used to guide cancer treatment decisions and even screen for tumors that are not yet visible on imaging. Liquid biopsy testing looks for very specific subsets compared to a full genomic test. It may prove to be a useful tool for physicians in cancer decision-making, offering early clues about what type of cancer a patient may have and whether it has spread. While doctors are becoming more involved in genetic testing, consumers are also playing a role in awareness, as more genetic testing firms targeting consumers enter the marketplace. Companies such as 23andMe offer direct-to-consumer testing, allowing people to explore their genetic makeup. The company provides a test that includes 65 online reports of ancestry, personal traits (taste, smell, balding), and carrier status, including cystic fibrosis, sickle cell anemia, and hereditary hearing loss. For the carrier tests, the company recommends genetic counselors to help consumers better understand genetic testing and the results. The new, direct-to-consumer genetic testing firms are not all gloom-and-doom disease testing. Companies such as Ancestry.com offer consumers saliva-based DNA tests to uncover their ethnic mix from 26 different regions, discover distant relatives, and understand their ancestry lineage. The company claims to have the world’s largest consumer DNA database, storing results from more than 2 million people. Within the next 10 years, it is quite possible that every new baby will have their genome sequenced and stored with their EMR and their other health data. In the near term, prenatal genetic screen programs will continue to grow. Expectant mothers can now easily get non-invasive screening tests to help a doctor determine whether a baby may have a chromosomal condition such as Down Syndrome. Relatively new companies such as Counsyl (www.counsyl.com) and Natera (www.natera.com) offer technology that can do these screening tests and will share the results with physicians. The parents can then be informed of the options if a baby has an increased chance of a genetic predisposition that can lead to developmental conditions. These tests are covered by most insurance carriers and will become even more commonplace. We will also see newborn screening for pharmacogenomics starting to happen in the next five to 10 years. By discovering which drugs a baby can—and can’t—metabolize, pediatricians can make better-informed, data-driven decisions for medications. This genomics data can “live” within the newborn’s medical record leading to better-informed decisions throughout the lifetime of that patient, thus enabling more proactive and preventative health care. Population health management may be where analytics bring the broadest rewards, as new data streams that include wearables data, genomics (proteomics and metabolic) data, and clinical data converge to provide a better picture of a patient’s health. Once this type of data is integrated into the clinical workflow and dashboard for physicians, it will have a major impact on disease management, especially for chronic diseases. In addition to classic sources of clinical data, mobile apps and home biometric devices provide data streams that help doctors monitor a high-risk patient and prolong the onset of chronic diseases, such as diabetes. Some methods collect data directly, while others capture it indirectly, all with goal of assisting, providing insight, and improving the patients course. As the data pool from genomic testing grows, researchers, physicians, and even consumers will better understand genetic predispositions to health and disease. Gene editing tools, new data streams from wearables, pharmacogenomics, and consumer-driven genomics all point toward the goal of improving population health. Using data analysis, the medical community will be able to carve out precision-based treatments by making sense of vast amounts of available DNA data, ultimately improving the lives of millions of people. Enakshi Singh (enakshi.singh@sap.com), is a senior product specialist at SAP Health.